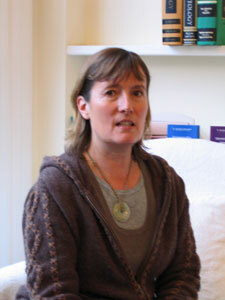 Fiona Davis-Coleman has been practising homeopathy for the last eleven years. She was introduced to it after the birth of her first son who was diagnosed with asthma and treated homeopathically to great effect. She went on to train for four years at the London College of Homeopathy and qualified in 2001. Fiona gained a BSc in Physiology from Kings College, London, in 1983 and has a continuing interest in the body and the way it works, in particular the way in which the body responds in a holistic sense to disease. Fiona's involvement with homeopathy extends beyond practising. She was the editor of the Friends of Homeopathy magazine, Picture of Health, which is distributed to over 6,000 people four times a year and she regularly attends seminars, workshops and supervised sessions to ensure that she is up to date with current homeopathic and medical thinking.